The best logging truck crash attorneys understand the industry. – MULKEY LAW FIRM "We love our clients!" The best logging truck crash attorneys understand the industry. It is imperative for our timber industry that logs are transported from the forest to lumber mills. However, nearly every year Arkansas lives are lost (or destroyed) in logging truck crashes. Between 2007 and 2015 there were 576 fatal log truck crashes in the United States (FARS database) and between 2007 and 2016 there were 11,014 log truck crashes resulting in injury or property damage (MCMIS database). The timber industry relies on contractors for cutting and hauling the timber. These “independent” contractors are often small and, sometimes, rather fly-by-night. However, they are also commercial trucking companies, whether they know it or not, and as such are bound by the Federal Motor Carrier Safety Regulations …whether they know it or not. 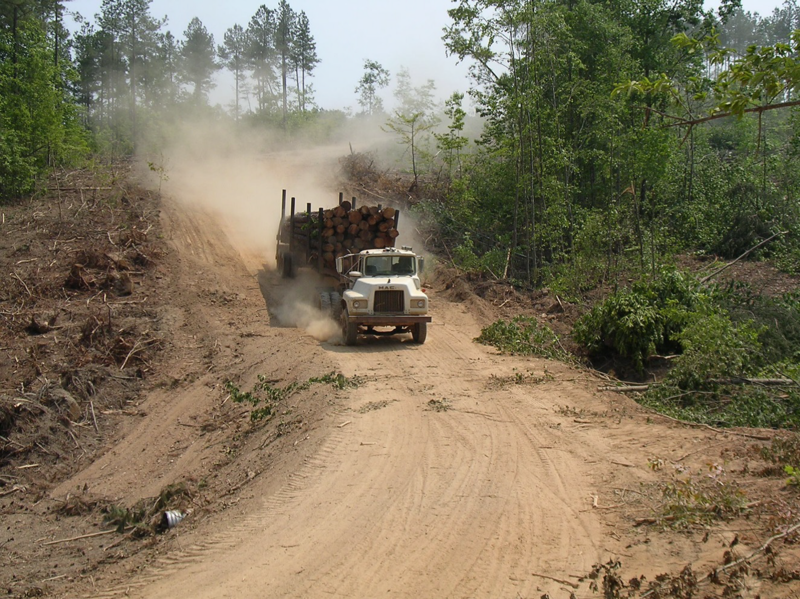 When a logging truck crashes, often the results are horrifically tragic and the limits of liability insurance carried by the contractor will be insufficient to remedy the harm. Thus, an experienced lawyer in these types of cases will carefully analyze the relationship between the contractor employing the driver and the timber company that hired the contractor. What the timber company knew when it hired the contractor, and the contractor’s history while under contract, are important considerations in determining if there was negligent hiring and retention on the part of the timber company that contributed to the tragedy. Moreover, the extent to which the timber company controlled the contractor, through its contract and/or conduct, must be analyzed. This is important because in Arkansas one who has the ability to control the actions of another, whether or not they use that control, may be held responsible for the conduct. When a logging truck crash occurs, understanding the industry can make a big difference in investigating the collision and, ultimately, the success of a case against the driver, logging contractor and/or timber company or shipper involved in the tragedy. Mulkey Law Firm was proud to help victims of a logging truck crash recover jury verdicts of $1,980,000.00, $500,000.00 and $225,000.00 in 2018. Bruce L. Mulkey is a member of the Academy of Truck Accident Attorneys. ← AFTER A SEMI-TRUCK CRASH – NO TIME TO WASTE! – Hire an Arkansas truck accident lawyer and get your own boots on the ground!